There are several conservation groups involved in marine ecology. In St Ann, Friends of the Sea is a non-profit, non-governmental organization, formed in 1992, which concentrates on education and public awareness and draws attention to what is happening on land which might affect what happens underwater. 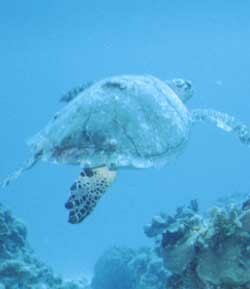 The Negril Coral Reef Preservation Society was formed in 1990. It has installed permanent mooring buoys for recreational boats and works on educational programmes with schools with slide shows, videos and environmental fun days. Together with the National Resource Conservation Authority and the Negril community, it has formed a marine park in conjunction with protected coastal and terrestrial habitats, aimed at protecting the coral reefs and improving fish stocks for fishermen.